The arrival of Pokémon Go brought questions about which smartphones or tablet work with the game.The Asus smartphones owners seem to face more problems, since the game's developer reported that the game is not compatible with the Intel processor in smartphones Zenfone 2 and Zenfone 5. According to the Asus, the older version of the game was able to run on Zenfone devices. However, the technology company pointed out, that the current version of the game features instability and unpredictable behavior. A team is working to understand the issue and present a solution. Android phones are running with version 4.4 KitKat or higher. According to Google, about 8 out of 10 Android phones are able to run the game. 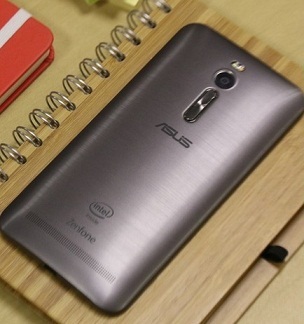 The problem of Zenfone 2 and Zenfone 5 from Asus has to do with the processor, the Intel Atom. It uses a different task execution architecture seen in other intermediaries phones like the Moto G 4 Play , the Lenovo Vibe A7010 or even the Galaxy Note 7, the current premium phone from Samsung. With this, some apps don’t open properly. Who has Zenfone 2 also often complain about the performance issues with Snapchat , the application for photos sharing. The developer Niantic states that the Pokémon GO works on iPhones from the model iPhone 5, 2012. However, the owners of iPhone 4S can also play the game, since the system is upgraded to the iOS version 8 or higher.